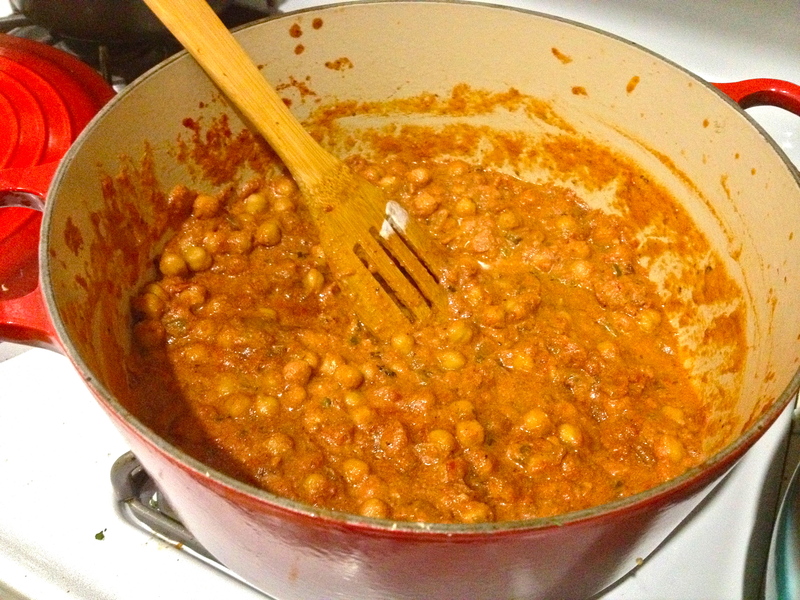 Yep, another Indian recipe. I’ve definitely been on an Indian kick lately. And why not? It’s cheap to make, keeps well in the fridge, and unlike some leftovers, these flavors get deeper and richer each day they sit. 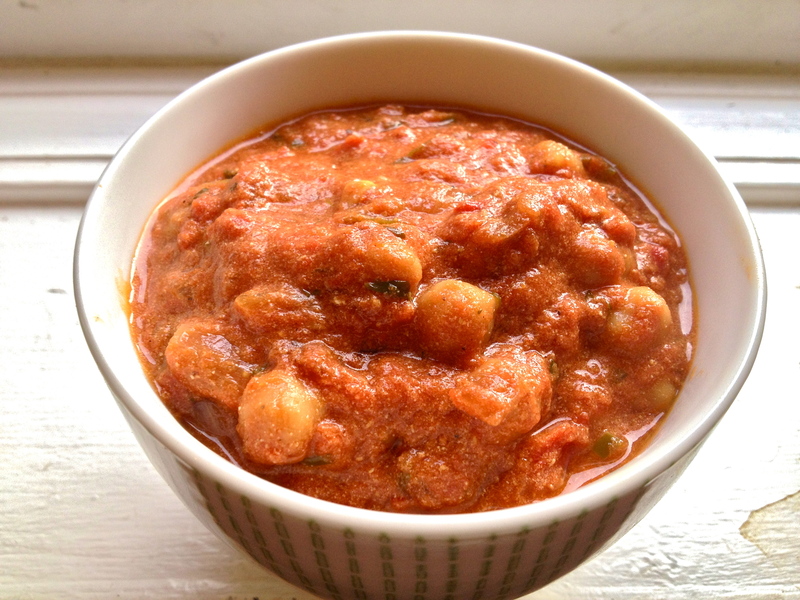 Adapted from Orangette, this chana masala is a cost-effective dinner or lunch that’s not too heavy on a hot day–it’s vegan, after all, and has a certain lightness that really distinguishes it from so many similar Indian meat dishes. No wonder so many Indians are vegetarian, with fabulous all-veggie options like this. Yummy. 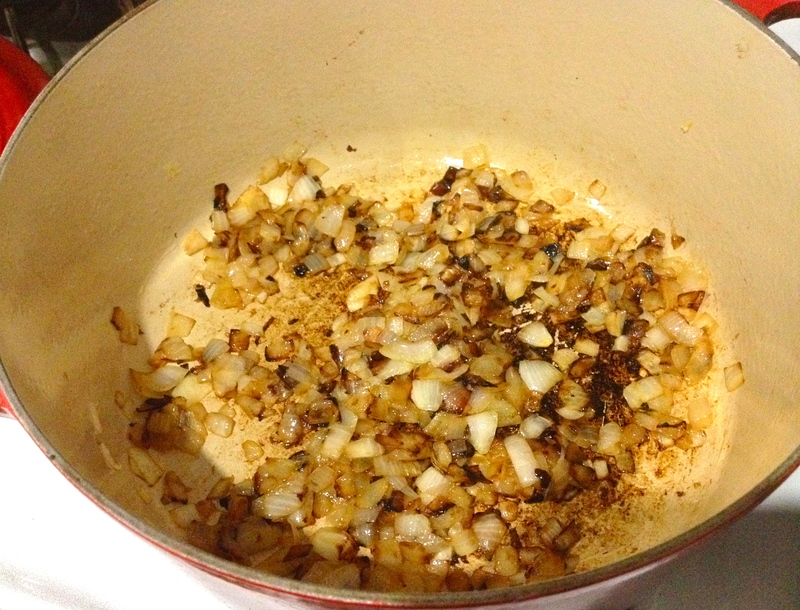 In a Dutch oven or other large pot, heat oil over medium and add onions. 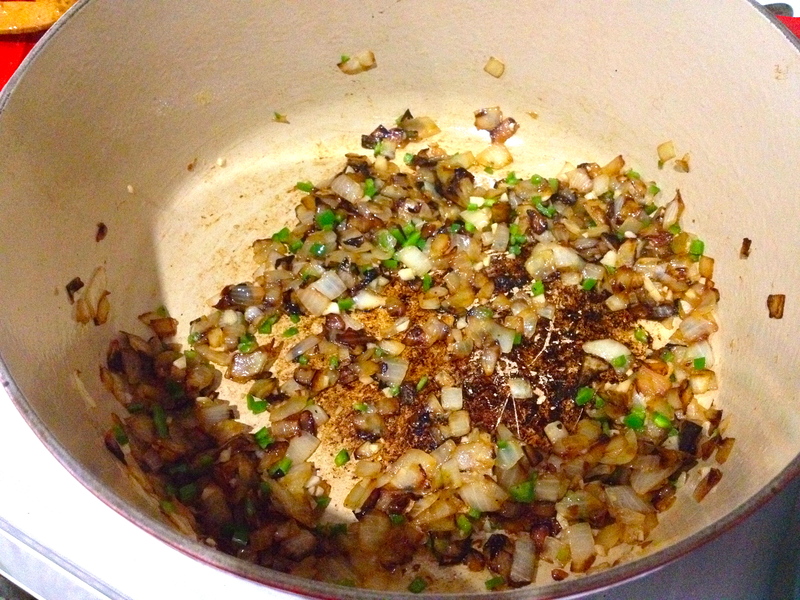 Stirring occasionally, caramelize them until deep brown, about 20-30 minutes. When bits of the onion have begun to char and turn black, stir in the garlic and jalapeño with an extra splash of oil if you need it. Let cook for 1 minute. 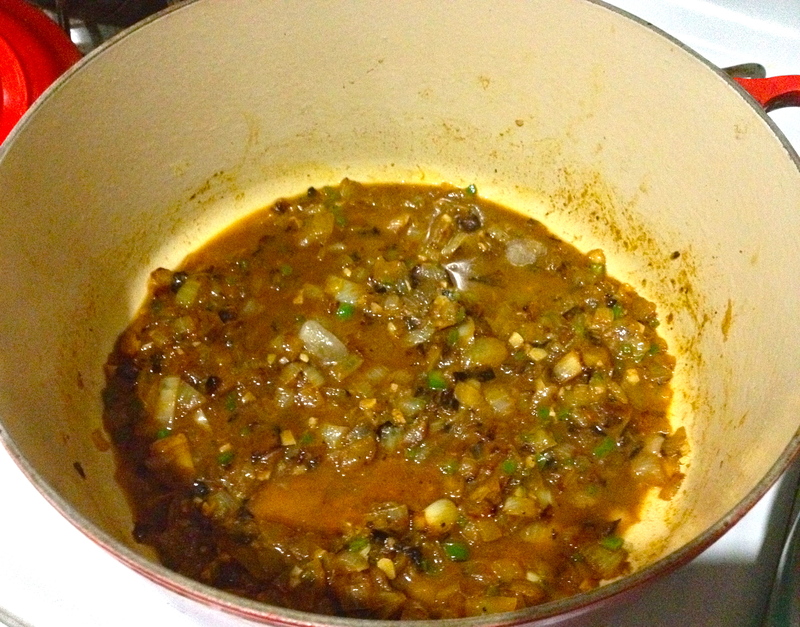 Next, stir in the spices and let them cook about 30 seconds. 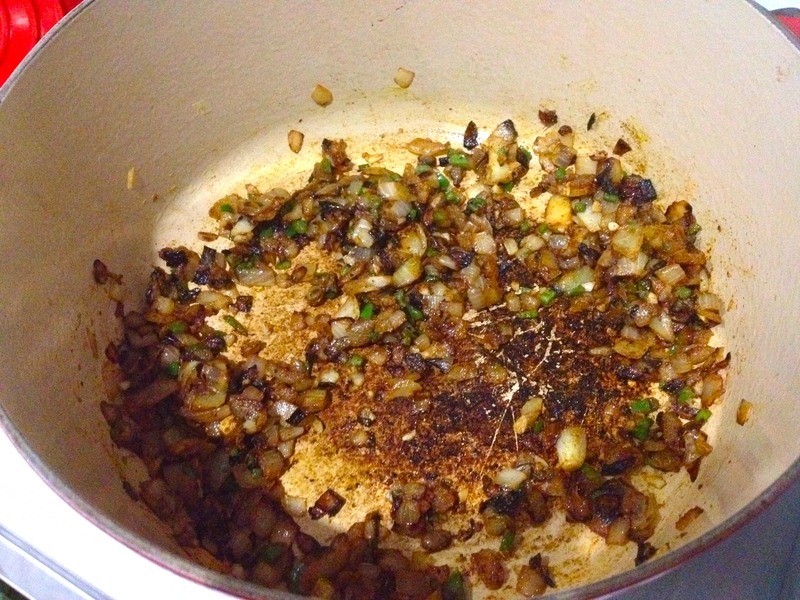 Next add 1/2 cup stock or water and stir to loosen up the browned bits on the bottom of the pan. Cook down until most of the liquid has evaporated. 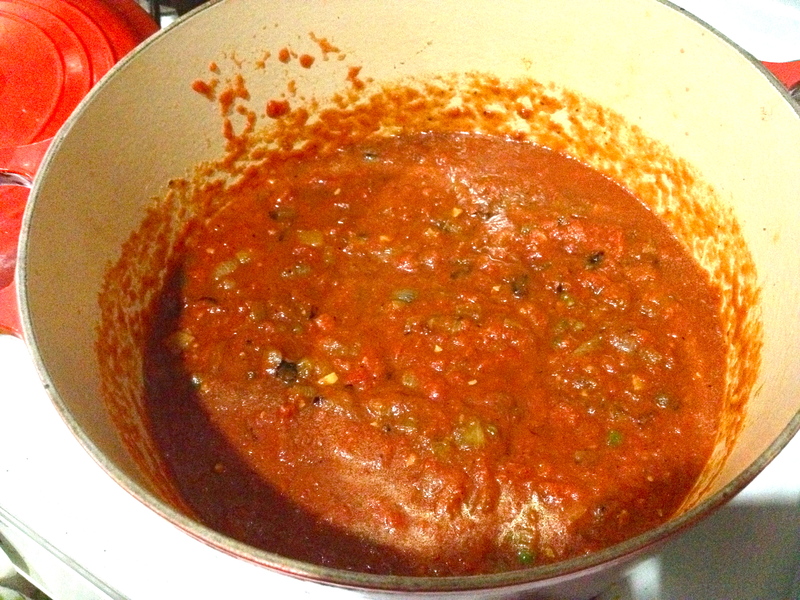 Stir in the crushed tomatoes and turn the heat to low. 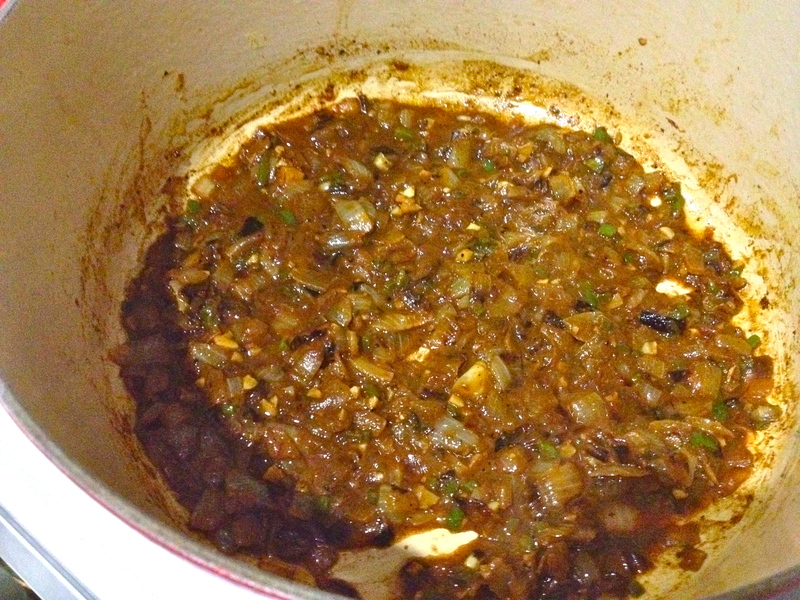 Simmer to reduce the sauce, stirring occasionally. 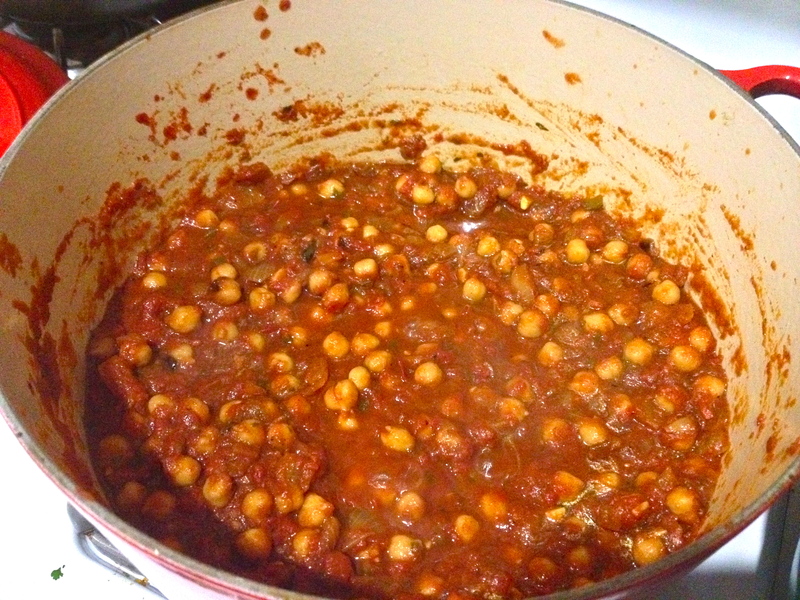 Then stir in the chickpeas, salt, and lemon, and simmer for 5-10 minutes. Remove from heat and add the yogurt, if you’re using it. Stir to combine. Serve over rice or with naan bread. Previous Balsamic Watermelon with Goat Cheese and Basil. Looks awesome. Somehow I’ve convinced my five year old son that curry and chickpeas are both delicious, so I bet he’ll go for this too. Thanks for sharing! Love it. If I had only been so open-minded and open-mouthed as a 5 year old! This sounds amazing! Loved the photos! I have recently made a few new friends who are vegan and am always on the lookout for foods we can share. This recipe sounds like a delicious addition to a potluck. Thank you for sharing!